In 1992, the United Nations General Assembly designated March 22 of each year to be World Water Day. 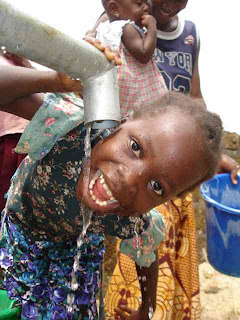 The goal of this day is to promote awareness of the 1.1 billion people without access to clean, safe water. Living Water International would like you to honor World Water Day by participating in a one day H2O project. Make water your only beverage (all day), then donate the monies you would have spent that day on soda, coffee, or juice to Living Water International to provide clean water around the world.